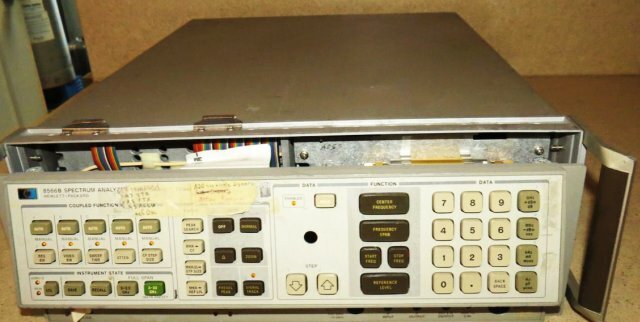 Not the first HP 8566B on the bench, and not the first at all showing the famous “YTO unlock” message. 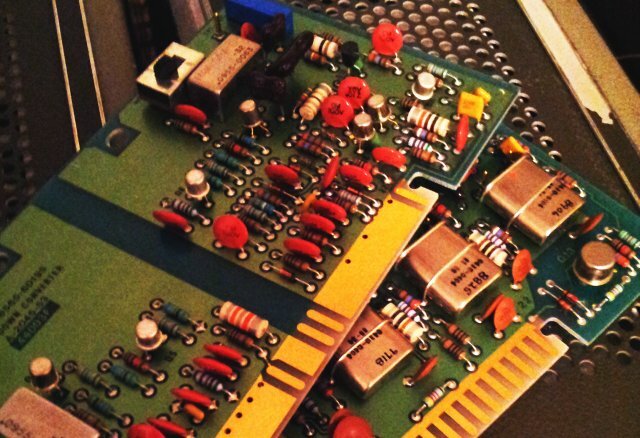 Most of these YTO unlock message issues can be traced to defective capacitors, but not this time. 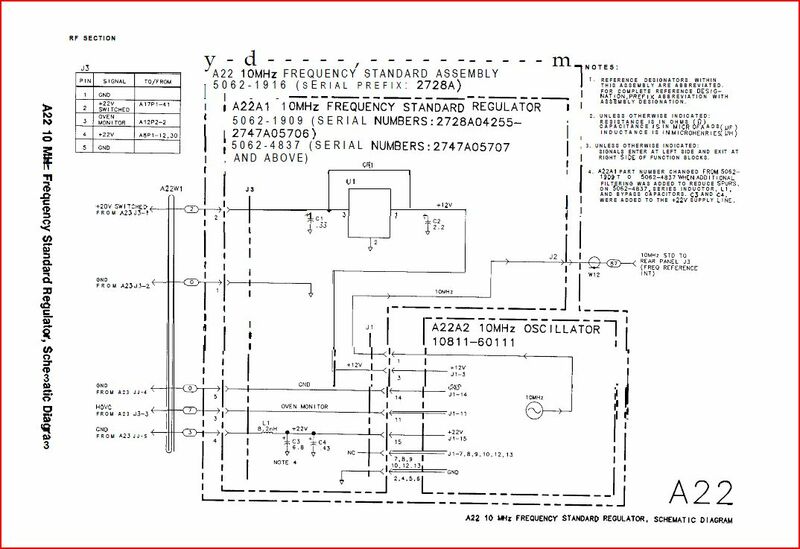 With the 8566B, take my advise, don’t touch any of the assemblies if you aren’t really sure which one is at fault, it is a fairly complex machine. 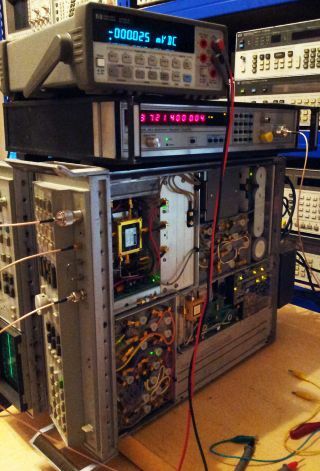 To troubleshoot, a microwave counter is handy, to check the LO frequency. 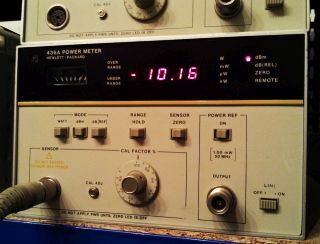 Next, the PLL was disengaged by disconnecting the cable from the sampler/LO pll. Still, no good LO frequency output. This leaves two main assemblies to be checked, the LO pretune DAC, and the YTO driver assembly, A19 and A20, respectively. 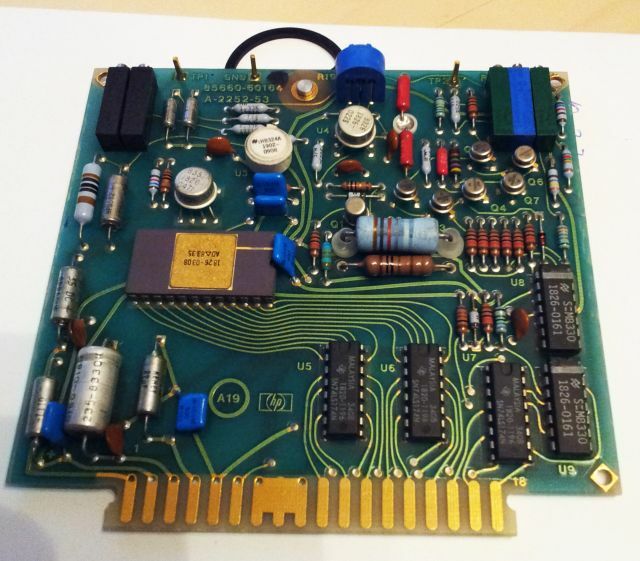 Quickly traced the issue to the A19 DAC assembly, and luckily enough, had a spare one around, albeit, an older version. 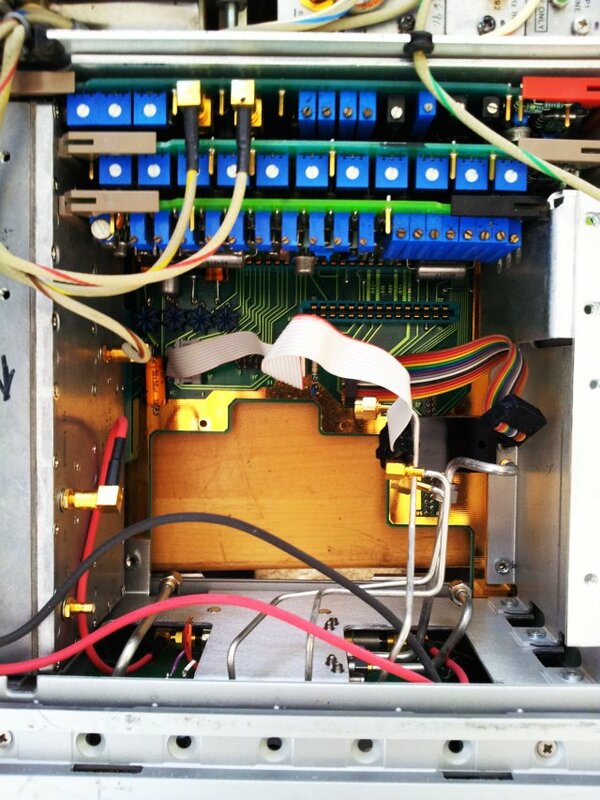 After swapping the boards, it was confirmed that the A19 assembly is really the faulty part. Next – desoldered all the capacitors at one end, but, to my surprise, all useless work, all caps in best working order, even after 25+ years! 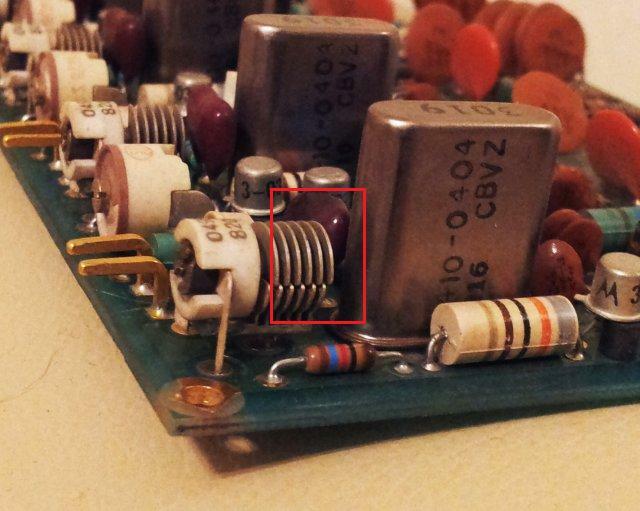 Checked various components, and finally, found some issue with the precision trimmers – seems a cold or aged solder joint. To be sure the the fix is as permanent as possible, all the trimmers were removed, the solder connections cleaned, and all installed back in. Easy fix, all working again. With this unit, there was no intention to do a full calibration, but as an extra service, I checked the power at the reference signal outlet – see below. Quite amazing how accurate, and pretty sure that this unit hadn’t been at a cal lab for at least 15 years….. this is really a superb level of lasting precision and quality, and ingenious engineering. 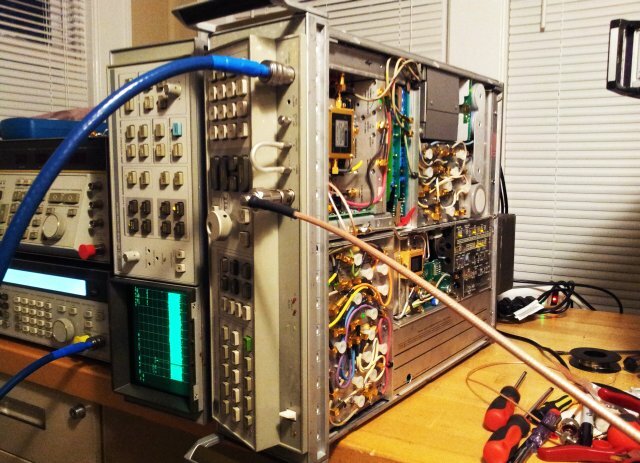 The 8566B/8568B analyzer both use the 85662A spectrum analyzer display section, which is not just a display but also takes care of the IF processing. 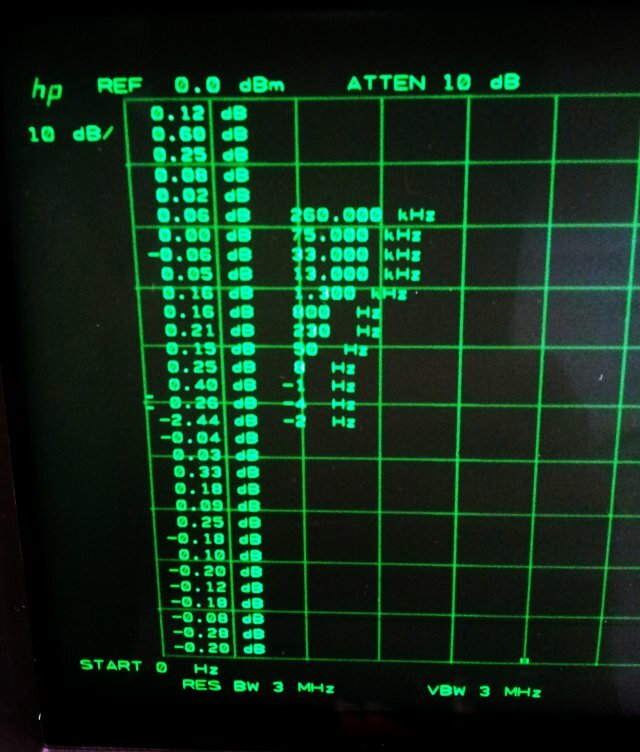 For the 10 Hz to 1 kHz bandwidths, a 5 pole xtal filter is used. 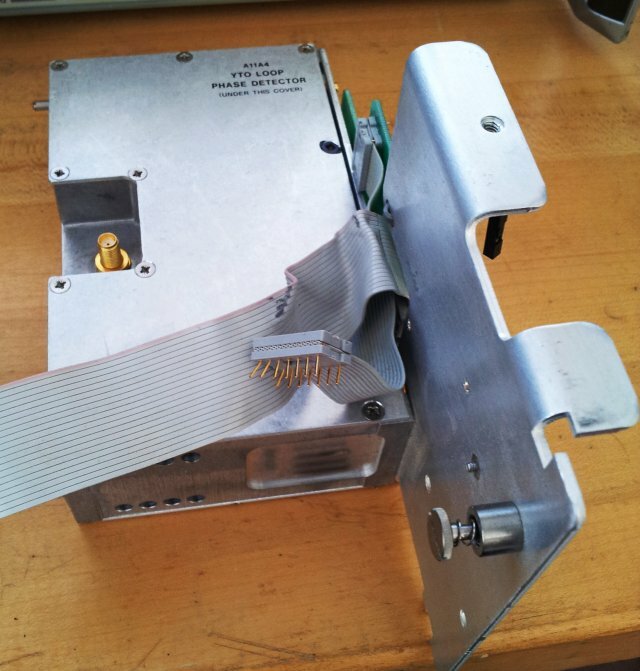 A rather delicate assembly that dates back the the earlier analyzers, 8565A, in somewhat modified form. 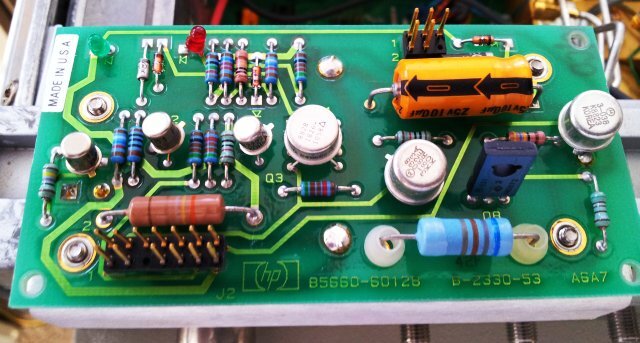 As a side note, HP had a strong tendency to utilized time proven circuits, some of them, over periods of 20 to 30 years… it helps with the repairs, once you get used to a certain assembly, the same pattern is repeating in multiple instruments. One of the examples it the A4A7 assembly of the 85662A (p/n 85662-60004). 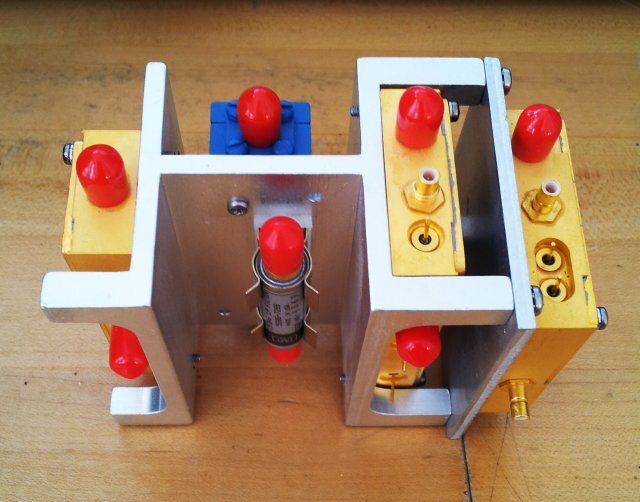 It is a rather ingenious design, and is critical for the 10 Hz resolution which makes the 8566B/8566B units so useful to resolve close-in spurs, like mains spurs. 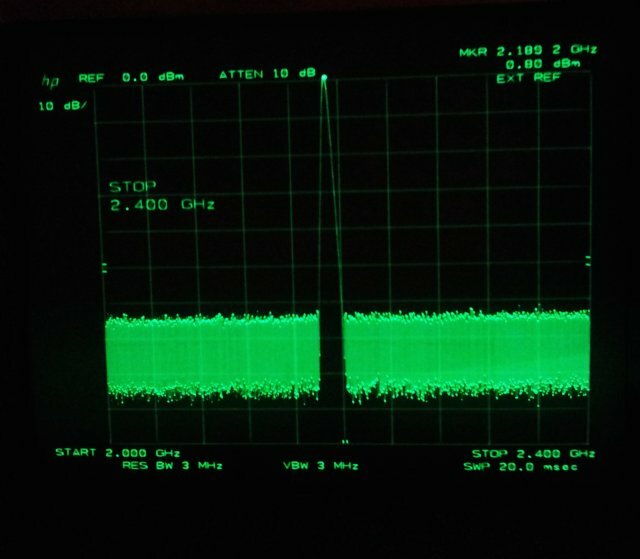 The unit currently on my bench showed issues in the 10 Hz bandwidth – not enough gain. First, I assumed it to be an alignment issue, and spent quite a while re-adjusting the circuit. To no avail (well, it helped to improve the passband shape, which is now perfectly symmetrical again). Almost wanted to give up. But not quite. 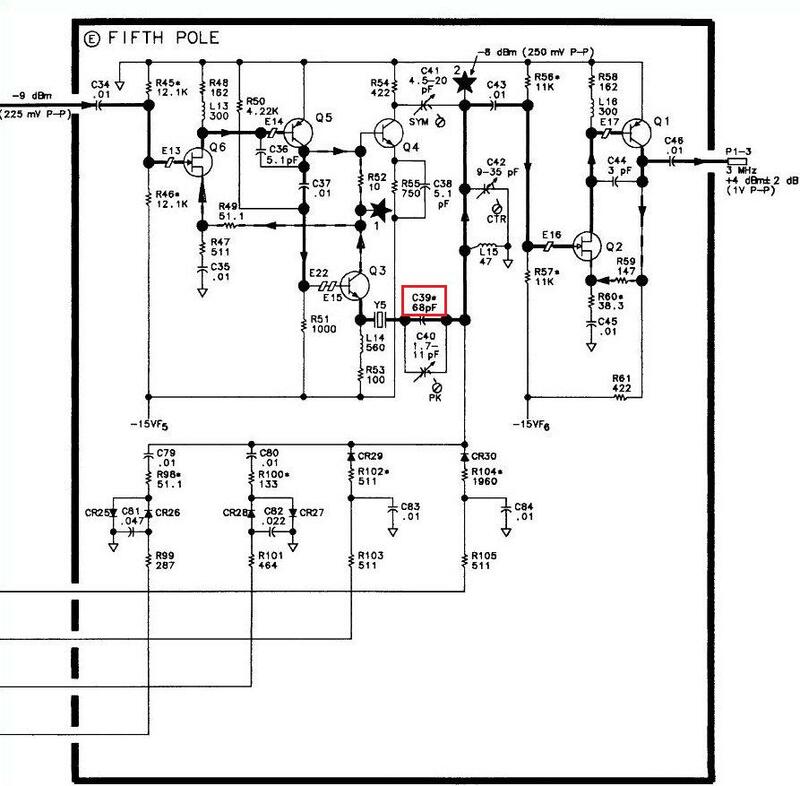 Checked the gain of the A4A7 with one of the stages, at a time, bypassed by a substitution circuit, a 47 n capacitor, in series with a 2.8 ohms resistor (see earlier entry). 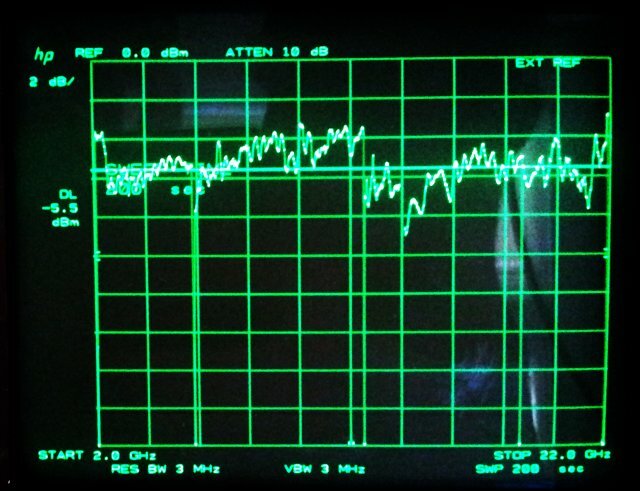 And, quite surprisingly, the gain of the 10 Hz bandwidth increased dramatically when shorting the 5th of the xtal poles. After careful inspection, notice the peaking cap. It is at its lowest value – this might be the issue – each of the poles has at least 3 adjustments: center, symmetry, peaking, and 2 of the poles, also a gain adjustment…. 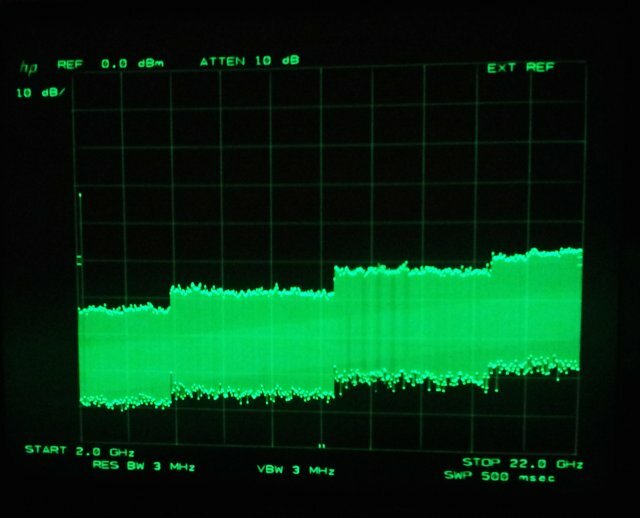 Maybe, the 5th stage (which is working at all the other bandwidths), is just not set to peak!! 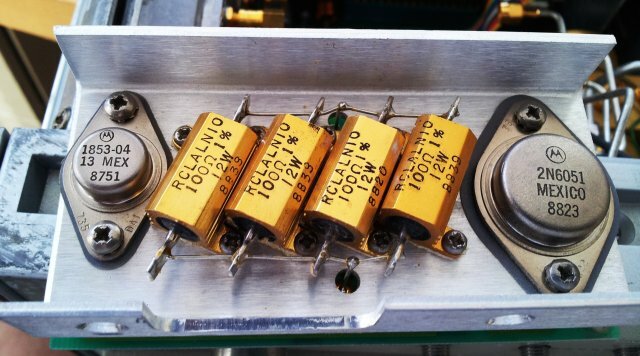 The 68 p capacitor, it is a factory selected component, and 68-82 p is the allowable range. This assembly had a 82 p fitted, but only at the 5th stage… well, just a few pF too much. …one of them now is missing a 68 p cap…. 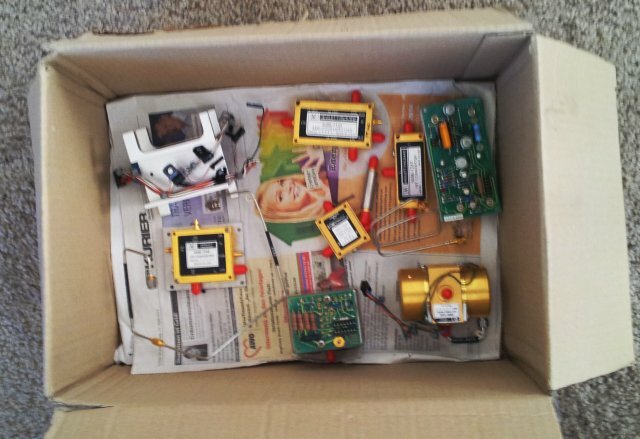 …there are the missing 2 dB. Problem solved! The 8566B I am dealing with here as parts from at least three units, so no wonder that the YTO/YTX drivers are all completely out of adjustment. So much that the LO sometimes locks on an incorrect multiple of the reference, or that it doesn’t lock at all. Well, the adjustments are all well described in the manuals, rather straightforward. The amplitude offset at 10 Hz, a bit more than I want it to be, but this is related to the A4A7 assy of the 85662A, not to the 8566B itself. Might still tweak it a little bit, when all repairs are complete, but for now, a quite satisfactory result. 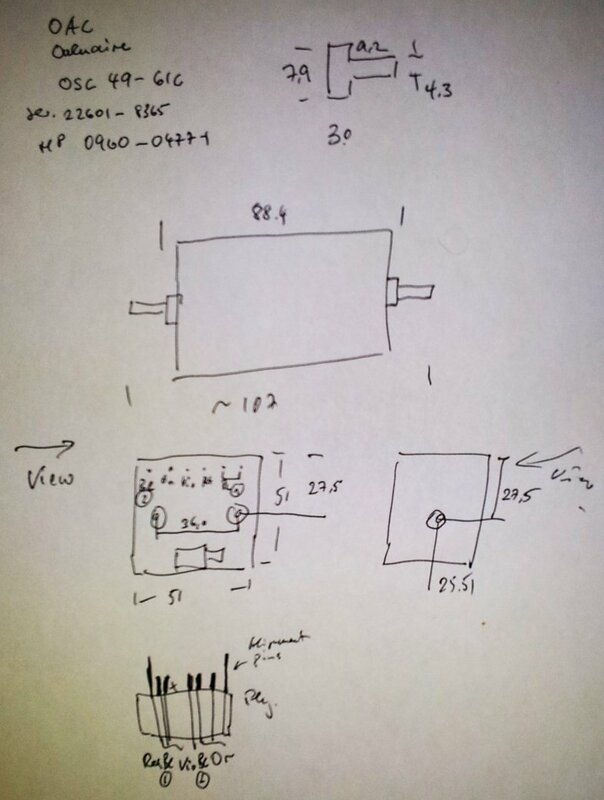 The OCXO, it is mounted in a set of 3 rubber isolators, here are the rough dimensions, if you want to fit a custom OCXO…. 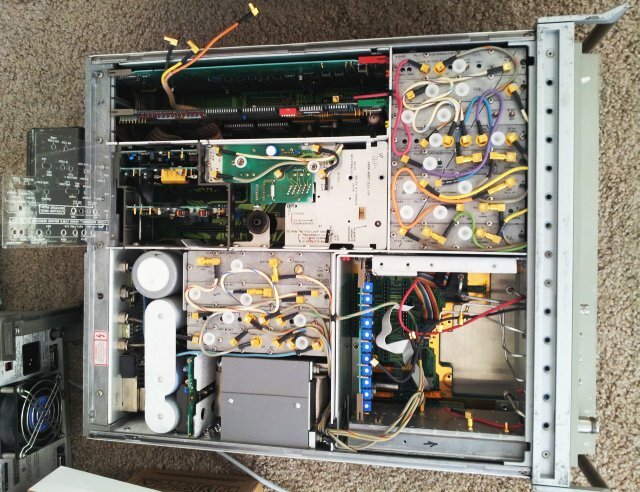 From the service manual – there are at least two versions of the 8566B, one using the HP 10811, and the other, using an Ovenaire OSC 49-61C. 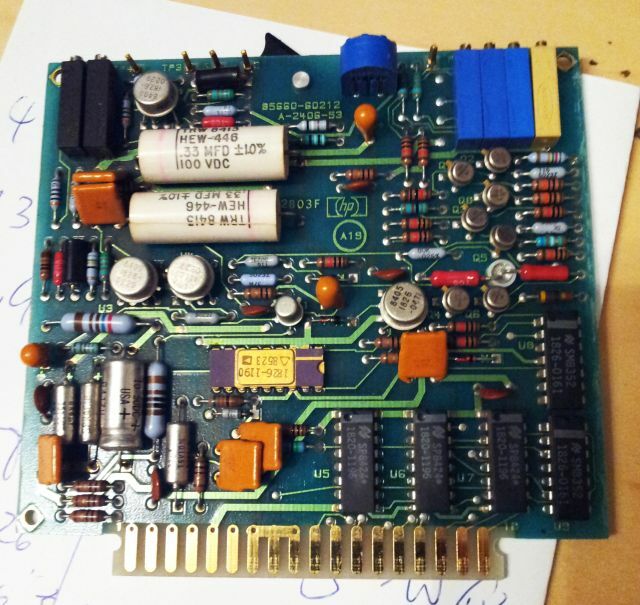 As far as I know, the oscillators have more or less the same performance level, but the connectors on the motherboard are different (still carrying the same voltages – the 10811 has small add-on regular board, 5062-1909), and there may be also differences in the holding brackets. Notice the different plug! I have a spare 8568B motherboard around that supports this connector style. One of the many test results, the 22 GHz noise floor. Not bad at all, about -118 dBm. Also checked the power line spurs and the noise characteristics, all considerably better than specified. The only downside: total weight, of the 8568B: 112 lbs, and two strong fans. 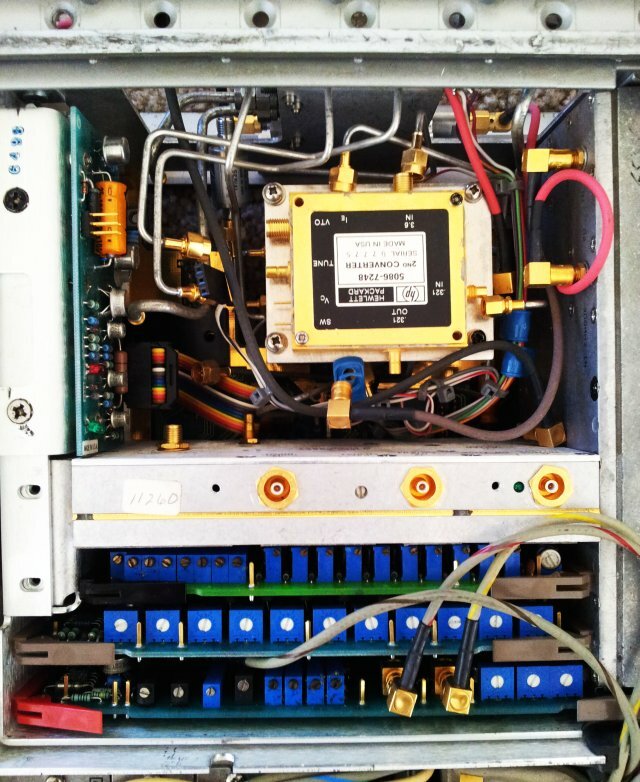 A partial unit, stripped of of most of its RF parts, and missing some boards, and missing the OCXO. 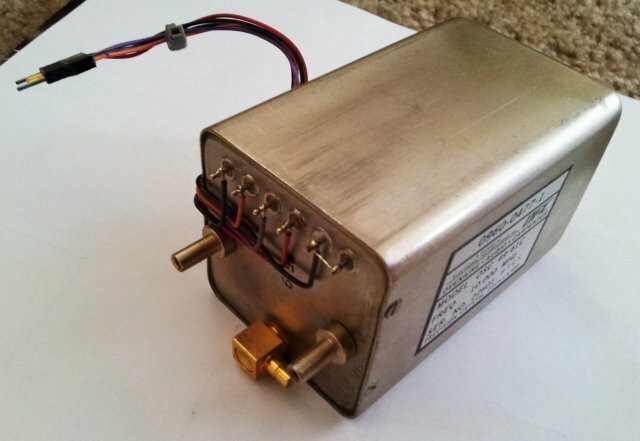 For a long time, I have been looking for another partial unit that can provide the missing boards, the OCXO, and some bits of hardware to complete the instrument. Not worried about the 85662A display units, because I have a perfectly working spare unit around, or could use the unit of the 8568B. Finally, a unit showed up, also missing some boards and parts, but luckily, not the boards that I needed -except, also no attenuator, and no OCXO here. The YTO assy, missing the YTO, and other bits. This part, the 5086-7226, to do it fully justice, one would have to talk about it for a few hours. 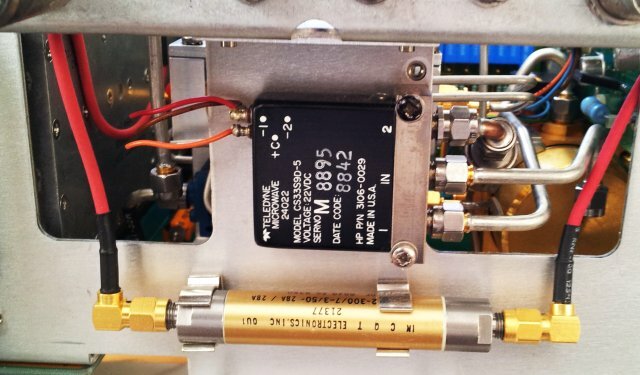 It is a not only gold plated inside and out, but HP used two kinds of solds, of different melting point, to assemble the inner workings in subsequent steps, without melting the already assembled parts…. Some more pictures – the YTF driver. The 1st and 2nd converter assy, ready for the semi rigid lines to be attached. 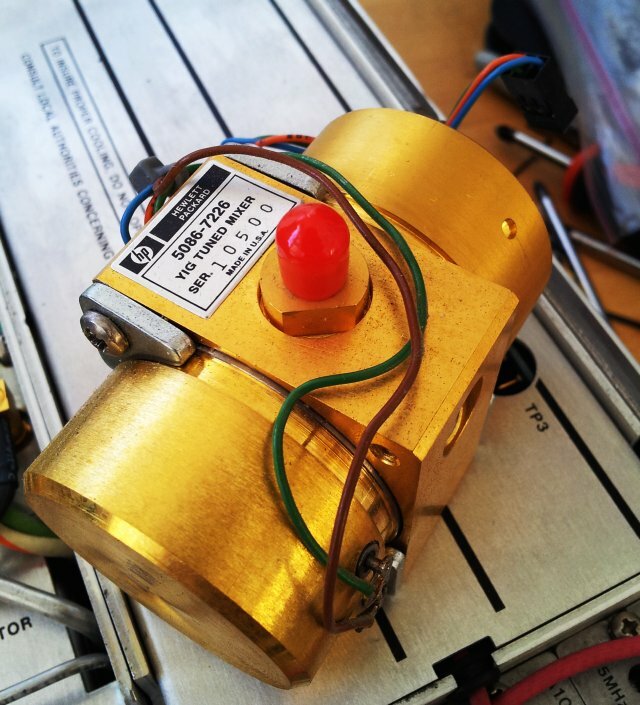 A high quality input relais and a band pass filter. Well, unfortunatly, don’t have a spare 8566B/8568B OCXO around, and they go on xbay for no less then USD 50, often, no less then USD 100, that’s ridiculous. 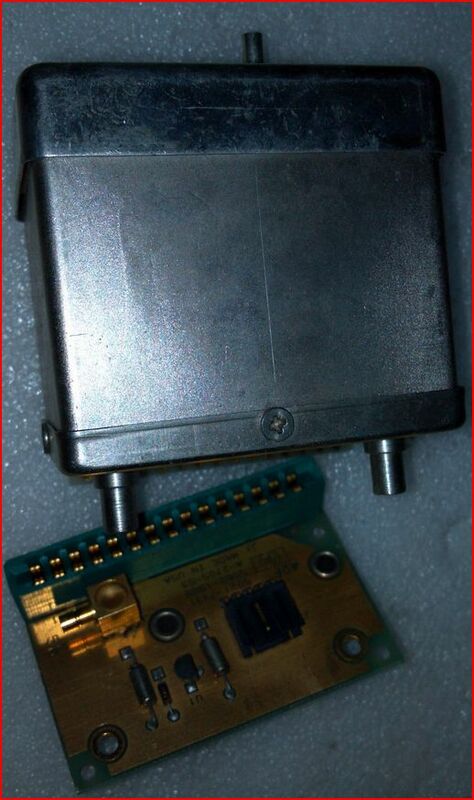 May this unit, which is very low phase noise, very stable, from a HP 3585A analyzer, can be made fit? 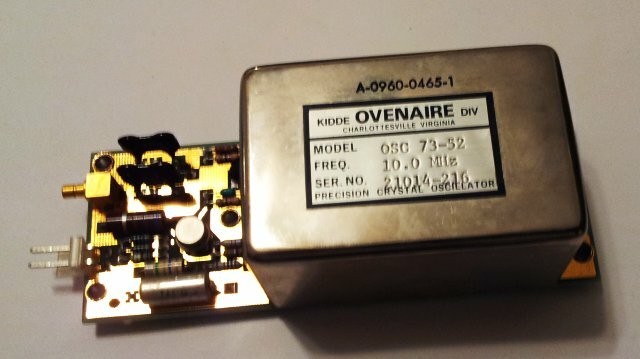 Ovenaire OSC 73-52. 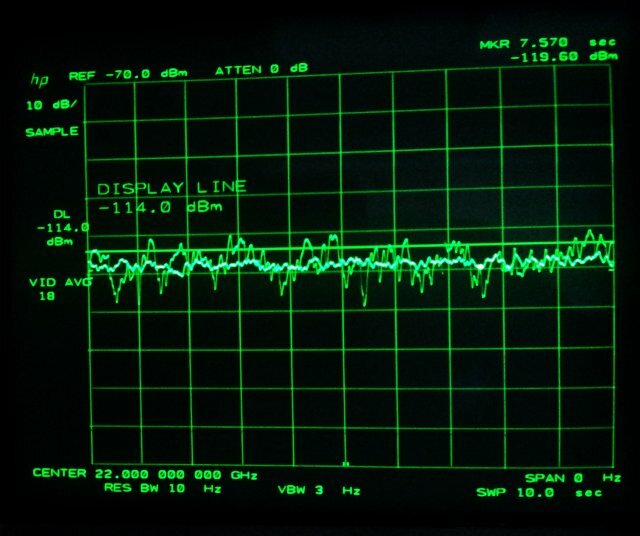 A first signal!! Amazing! 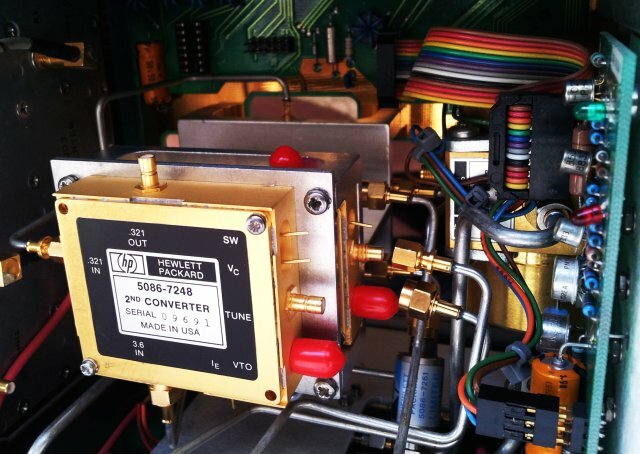 Frequency is off by 80/300 MHz – the unit will need a proper alignment, but the PLLs are all locked, which is a great start. And, the noise – the effect of harmonic mixing can be clearly seen, so the input stage and mixers seem to be all working!